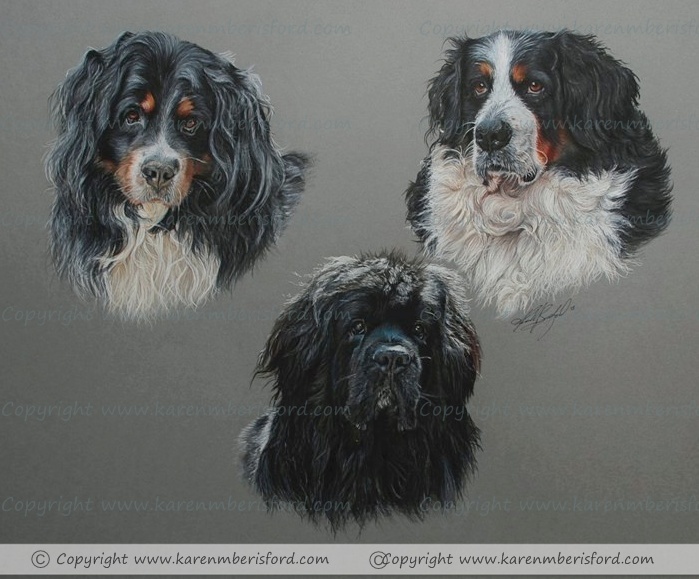 The Commissionee was a lady who used to attend my weekly Art Group and asked me to create this portrait of her 3 dogs for her husband's Birthday. 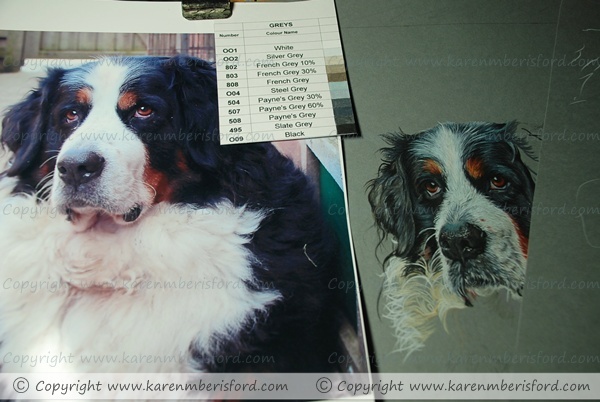 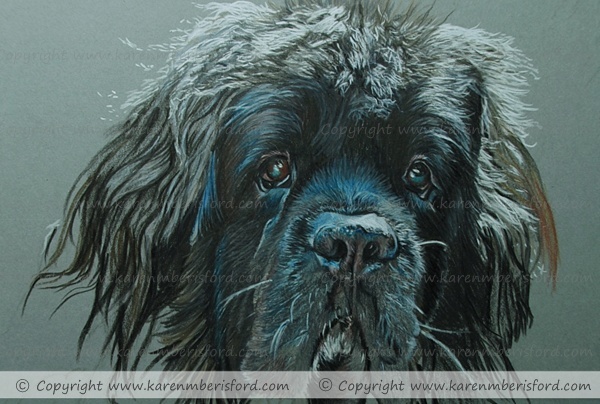 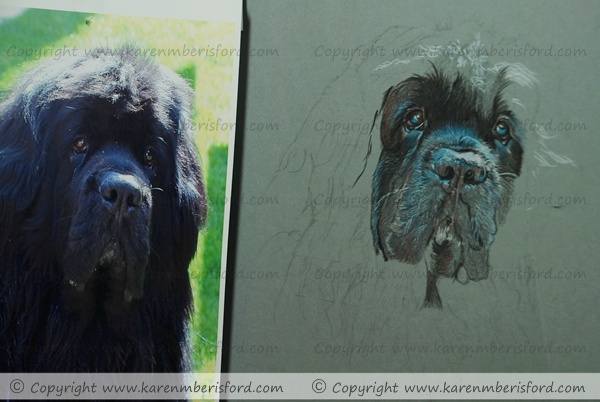 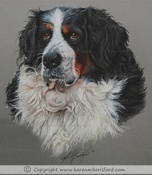 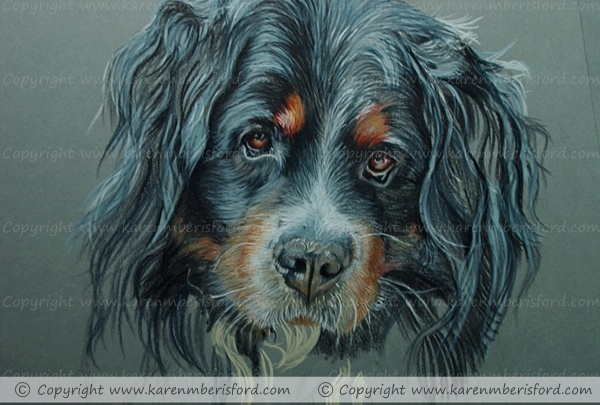 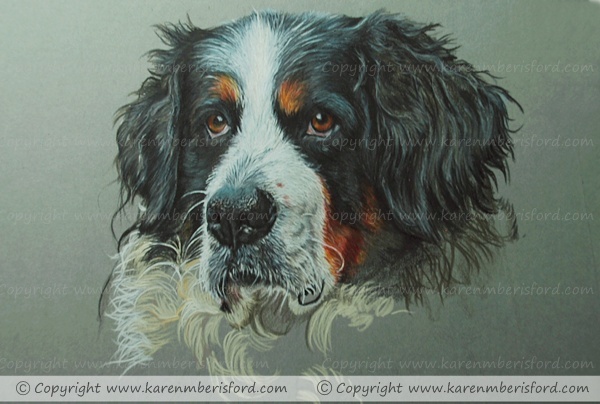 She had some lovely, clear photographs of her dogs for me to chose from and this made the process so easy. 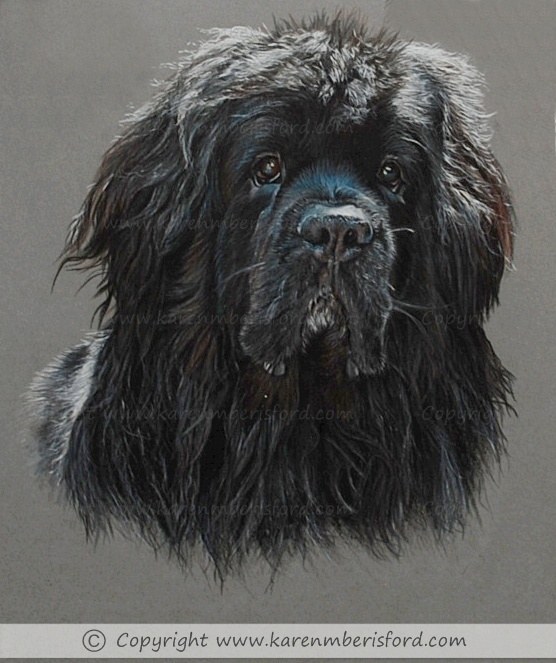 As a fan of Coloured pencils herself, she opted for this medium for her own portrait. 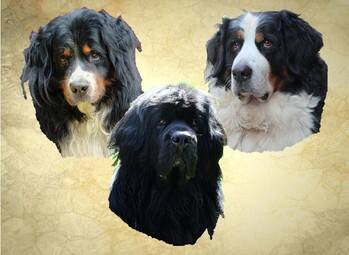 As I was working from 3 separate photos of each dog (which is preferred) I created a mock up design of all 3 together so I could get an idea of how and where each would be best placed. 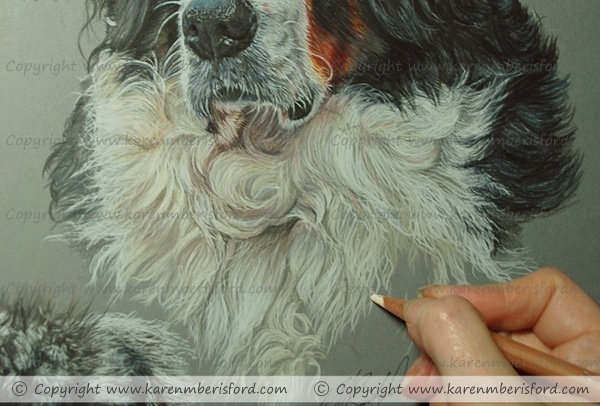 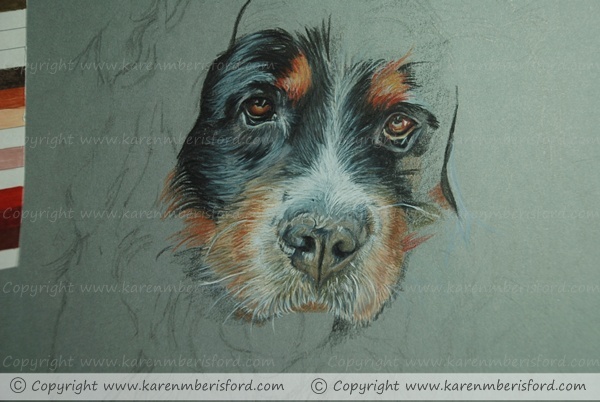 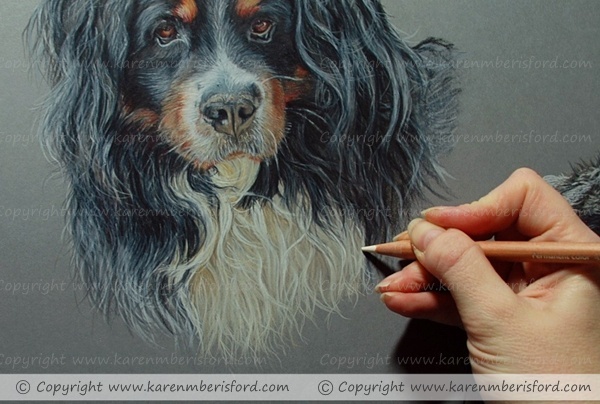 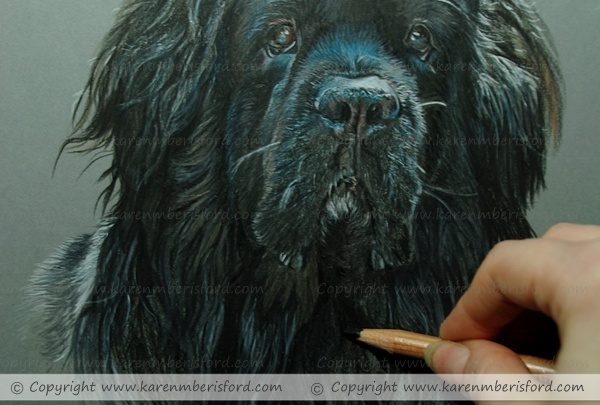 I began by drawing the outline of each and then worked on each portrait section by section to ensure I did not become too 'blind' to detail which can happen on such highly detailed pieces. 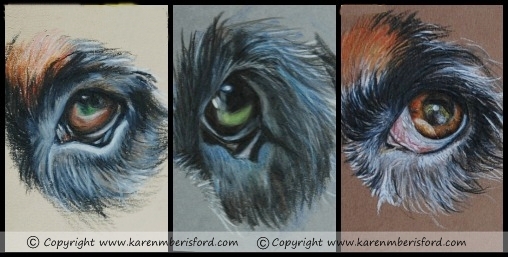 Before I even began to think about the layout of the portrait, I needed to decide which paper colour would be best for the portrait and so I sketched the eye of each dog on 3 different tones of paper to show the customer so we could discuss and choose the best option. 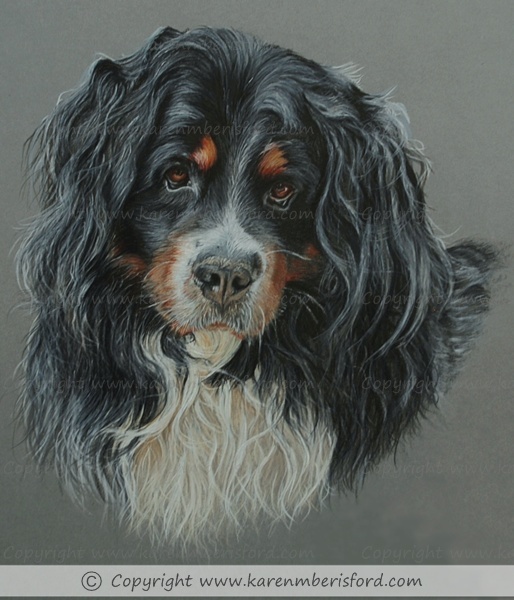 As all 3 dogs had mostly cool tones, it was decided the mid grey tone would be the best to use for the portrait.